Sleepy Hollow hauntings have been an area of interest to paranormal investigators all throughout history. This haunted city in New York rests upon the eastern side of the famous Hudson River. Approximately 9,000 individuals call this area “home”. Of course, this is the number of physical, living individuals. There are also rumored to be quite a few spirits that reside in this haunted New York town as well. This beautiful, quaint town received an immense amount of publicity when Washington Irving composed the tale called “The Legend of Sleepy Hollow”. In this guide on the paranormal, you will learn about the haunted ghost town of Sleepy Hollow New York. 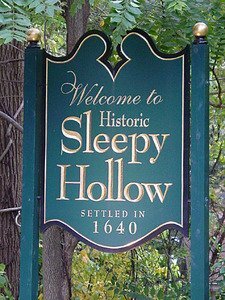 Sleepy Hollow, as an organized town, dates all the way back to the early 1600’s. Europeans discovered the area and settled their friends and relatives there. However, it was not until the Dutch arrived that it was given its original name. These settlers elected on the name “Slapershaven”. In translation, this meant “Sleeper’s Haven”. In the year of 1996, the town’s name was officially renamed to the name that we know it by today. Today, the town is well known for its stories and recollections of residents revolving around mysterious hauntings, as well as the infamous “Headless Horseman”. While Washington Irving’s tale “The Legend of Sleepy Hollow” was a fictional piece, it is important to understand that it was based on facts, tales, and people that are actually a part of this ghost town’s haunted history. Sparta Cemetery – The Sparta Cemetery is not located directly in Sleepy Hollow, but just outside of it in a place called “Scarborough”. If you travel the popular “Route 9”, you will run right into this burial ground. Visitors and those who have passed by the cemetery have claimed many unusual sightings. These sightings include mists that are completely unexplainable as well as lights that seem to dance along the ground and float over the graves. Those who have stopped for further investigating have discovered the sounds of voices from which there is no origin in sight. Sunnyside – While an unusual name, “Sunnyside” is a name for a home in Sleepy Hollow. Washington Irving took over ownership of the structure in the year of 1835. At that time, it was nothing more than a small, ordinary cottage. He and his family worked hard to renovate the structure, and took great pride in the final project. This home is a beautifully designed structure that sits on the bank of a river – the Hudson to be exact. You can get a good look at the river by a small, secret path that leads from the home to the banks of the river. It has been said that apparitions have appeared, doing various tasks. It is believed that the nieces of Irving are often seen tidying up the home. Many have claimed to have seen Irving himself. 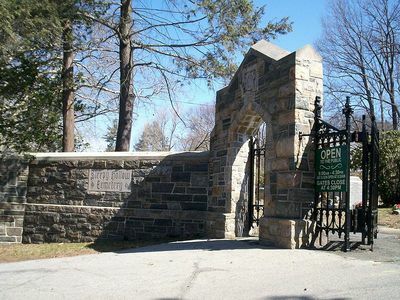 Sleepy Hollow Cemetery – If you would like to visit the grave of the famous Washington Irving, you can do so at the Sleepy Hollow Cemetery. While there, you can also discover the final resting places of the following famous individuals: Andrew Carnegie, William Rockefeller, Walter Chrysler, and even the notable Elizabeth Arden. It has been said, on more than one occasion, that an apparition has been seen among the graves. Many who have walked through the cemetery often express the fact that they hear silent whispering which cannot be explained. Old Dutch Church and Burial Ground – The burial grounds that are located at the Old Dutch Church are said to be among one of the oldest ones in all of the United States. It is said that the popular “Headless Horseman” can be clearly seen making his route through and around these burial grounds. When visiting here, you can see some very popular names on the grave stones. These include Eleanor Van Tassel Brush, who Washington Irving used a personality called “Katrina” from his story. Abraham Martling, who was reflected as the character “Brom Bones” can also be discovered here. Patriot’s Park – If you go to the area that is between the cities of Sleepy Hollow, and Tarrytown, you will discover a park. During the American Revolutionary War, the Americans captured a soldier that was of Hessian decent. He was immediately executed by way of beheading. An apparition that lacks a head is often said to linger throughout the park grounds. Irving took this legend of the soldier that is headless for his tale. There are several haunted areas in the ghost town of Sleepy Hollow, New York. If you are seeking haunted places to go, this is a must see and must experience!